When I first arrived in Jordan almost five years ago there was a lot of energy dedicated to the nascent startup ecosystem. That was true not only in Jordan but across the region. From 2013 to 2016, Lebanon, Egypt and the United Arab Emirates made a lot of headway in fostering early-stage activity. Saudi Arabia, Kuwait and Qatar also made a tech-enabled economy the focus of substantial government effort and financial resources. From my limited perspective some of the early-stage activity has dropped off – but we now have a relatively more mature ecosystem with some brilliant startups coming out of the region trying to solve very big problems. Venture-backed companies like Altibbi, Arabia Weather, Bayzat and liwwa are helping change the tech-enabled, high growth business landscape in MENA. There are many factors that help in building a successful scalable business. None of them are particularly radical, but each of them can have a big impact on outcomes. Focusing on the fundamentals is critical to the effort to build diversified economies. What follows is a brief list of what has been really important to build liwwa. Hiring anywhere is hard. Hiring in MENA is even harder. A large number of young people are under-educated especially when it comes to practical matters. Universities in the region don’t prepare students for the realities of a competitive workplace. After having interviewed hundreds of people at liwwa, it’s fair to say that the fresh graduates require a lot of work in terms of training them for real problem-solving and analytical thinking skills. There are also very few who possess the ability to draft and write well. And things like attention to detail and work ethic seem to be under-emphasized. As the cliche goes, ideas are cheap; execution is everything, and the top quality execution by independent and motivated staff is critical. At liwwa we spend a great deal of effort to train our bright and motivated young staff members on some basic skills. It’s obviously not just liwwa, many startups in the region are spending a lot of their resources on training youth across the region. And that’s the bright spot here. We meet high quality, motivated and eager young people all the time. These people are the main factor driving the growth and development of our ecosystem. We’ll see many of these bright minds starting their own companies five or ten years down the line. Anyone who has tried to register a business in the region knows how difficult it can be. The UAE may be the only exception to the general rule. Otherwise, one is forced to contend with poorly understood and implemented laws, a slow and meandering bureaucracy, and sometimes a hostile business environment. 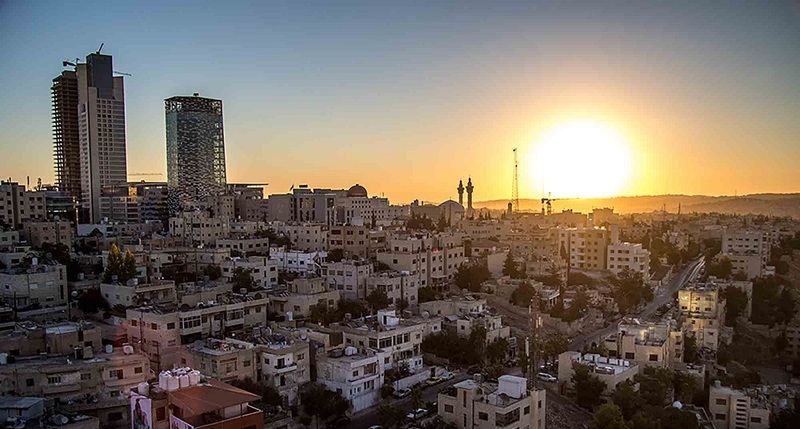 At liwwa, it took us a year to secure our trade license in Jordan – and another two years to become fully compliant with the Social Security Corporation’s rules for businesses. But there have been many positive developments lately. Increasingly, central banks in the region are taking a proactive approach to address the needs of a changing market. Their actions, and the fact that they’re signaling proactive intent, goes a long way towards driving positive outcomes. Other governmental bodies across the region have also led similar initiatives resulting in a meaningful impact. However, there’s a lot more that needs to be done, including income tax regimes, eliminating import tariffs, easing foreign labor rules and a lot more to make it easy for people to start businesses. Tunisia’s recently passed law, the Startup Act could serve as inspiration to some other governments in the region. Finally, any robust ecosystem has to have a source of sophisticated risk capital. Over the past few years the number of venture capitalists in the region has grown. We’re seeing many conventional businesses also get into venture capital, either by starting their own venture arms (CVCs) or investing in other funds as Limited Partners. Also, many VCs in the region have been able to develop their institutionalization and governance frameworks during the last few years. For startups, it’s great to have all these options. Working with professional investors can help in a lot of ways. These investors and VCs have tens of years of experience across different industries, and they can offer their expertise on everything from product development to building a sales strategy. At liwwa, we’ve benefited greatly from working with DASH Ventures and Silicon Badia. Both firms have deep traditions of professionalism. As a result they’ve helped us increase our own management, financial and operational capacities. Founder & CEO at liwwa, an Amman-based startup that connects small businesses in need of capital with people who want to invest in them through its peer-to-peer lending platform.